Riding a bicycle is a great way to give necessary load to your body. 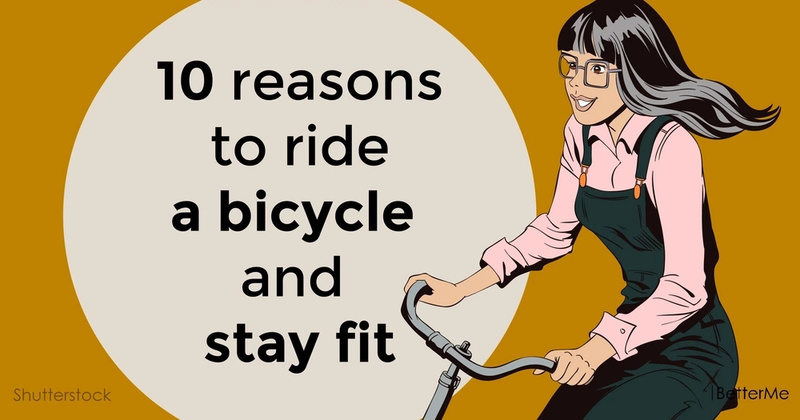 What is the benefit of riding a bicycle? A human body is made for an active lifestyle, it has a huge margin of safety and inexhaustible reserves. The main thing, is to exercise on a regular basis. Bicycle improves intelligence, relationships, brings health and happiness. Maybe you are trying to save the planet, but riding miles on a bicycle, you also save your brain cells, improve relationships in the family, train the lungs and become a happier person. #1. It is a 10 min fitness fix. Many people who want to reduce their weight, believe that jogging is the best way to start losing weight. Yes, jogging burns a lot of fat, but if you run a little more than you need, jogging can harm your body. Try riding a bicycle instead, most of your weight is on the saddle, the skeleton will not be subjected to such impacts. Running can wait. #2. It is an all-body toner. Regular daily cycling trips are very useful. They justify the refusal of an expensive season ticket to the fitness center. You can tone the whole body. #3. It is a good start for exercise phoebes. Thanks to regular cycling trips, you increase the overall endurance of the body, feel more cheerful, active and stronger. #4. You will arrive at work smiling. Biking is an excellent physical load, in which endorphin is produced, that is, a hormone of happiness, which in turn simply does not leave room for prolonged stress and depression. #5. It is kinder to your joints. Regular physical activities, including cycling, contribute to a longer life of the joints, protecting against their aging. During active sessions, the blood stream that passes through the muscle removes the accumulated slags, salts and other degradation products that usually crystallizes, causing arthrosis, when a person leads a sedentary lifestyle. #6. Your brain will get a boost. 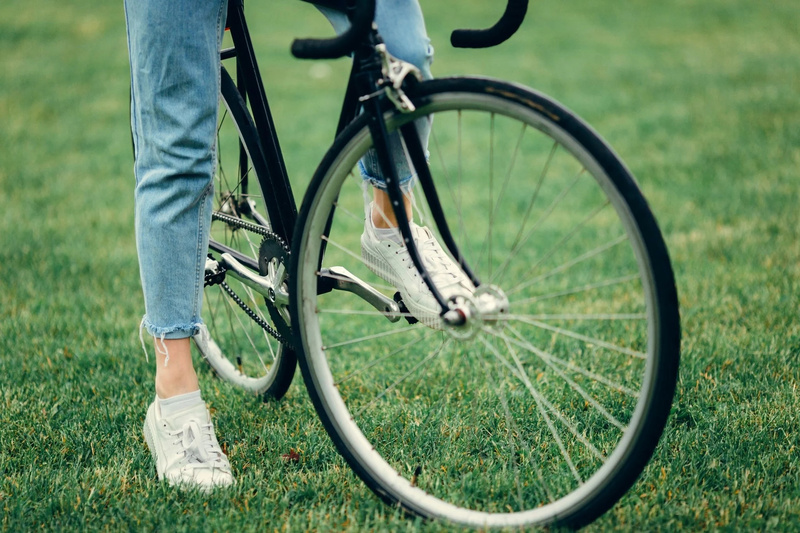 Researchers from the University of Illinois found that a 5 percent improvement in cardio-respiratory state from riding a bicycle leads to a 15 percent increase in the results in the tests of mental abilities. This is because cycling promotes the creation of new brain cells in the hippocampus, a region that is responsible for memory, its condition begins to deteriorate from the age of 30. Riding a bike increases the flow of blood and oxygen to the brain, which activates and restores the action of receptors and helps prevent Alzheimer's disease. #7. It will keep you young. 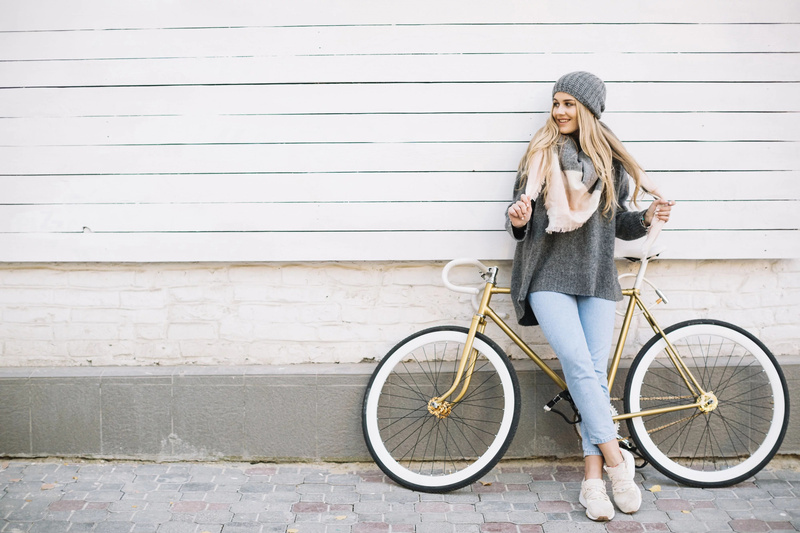 Scientists at Stanford University have found that regular cycling can protect your skin from the harmful effects of ultraviolet radiation and reduce its aging. Increased, blood circulation delivers oxygen and nutrients to skin cells more efficiently while simultaneously removing harmful toxins. Exercises also create ideal conditions for the production of collagen, which in turn helps to reduce the appearance of wrinkles and accelerates the healing process. #8. It is great for your heart. Studies conducted at Purdue University in the United States have shown that regular cycling can reduce the risk of heart disease by 50 percent. According to the British Heart Foundation, about 10,000 fatal heart attacks a year could be avoided if people became more physically active and started exercising. By riding a bicycle only 30 km per week, you reduce the risk of heart disease by more than a half, compared to those who do not ride a bike at all. #9. It is a cheap workout. The secret of accelerating the metabolism is that it has a residual effect, that means that the metabolism is accelerated not only for the period while you are on the bike, but also long after the end of riding. #10. You can do it with the kids. 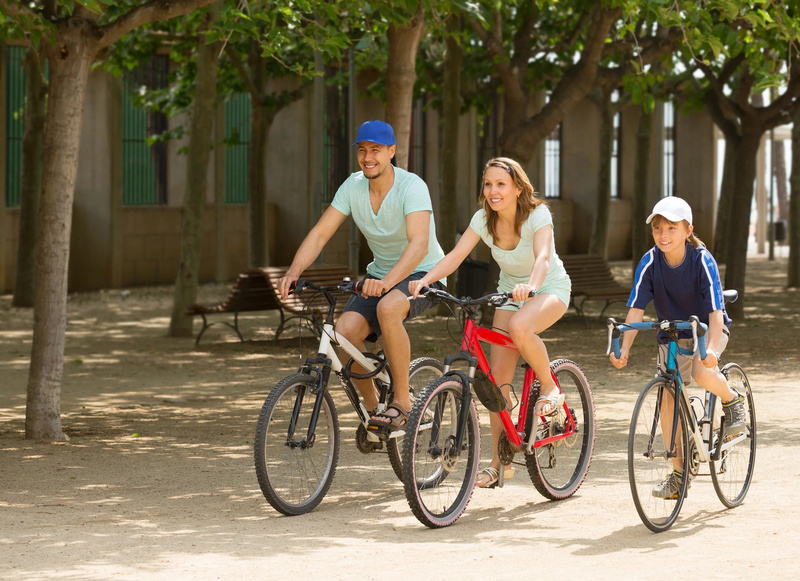 Riding a bicycle is such a pastime that you can do with the whole family. The smallest child can climb onto a seat or into a special chair and join your journey, there is also no reason why you should not do it together with your parents. Studies have shown that it is not surprising that children are influenced by the choice of parents' activities. You should understand that if your children see you cycling regularly, they think it is normal and will want to follow your example.